Fraudulent wills can be particularly difficult to prove, and yet can have the greatest effect of possible beneficiaries. However, there are routes available that will allow you to contest the will in question and resolve your issues with it. Why Might You Suspect a Will is Fraudulent? Most people attempt to make their will indisputable when they are writing their will. However, there are a number of people who could commit fraud against the will in question, from the attorneys managing the deceased’s funds to relatives or carers that have been placed into a position of responsibility. From a forged signature to claims that are out-of-character for the deceased, there are many ways in which a document can be forged that may need checking. 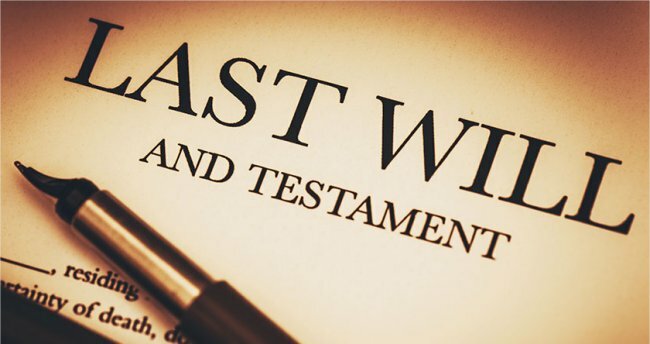 You may suspect that forgery has been committed on the will if a large amount of the deceased’s estate has been unexpectedly left to one person. Another reason may be if the will was changed abruptly when the deceased was in hospital or unable to care for themselves. A further reason a will may be fraudulent is if a large amount of money or valuable items have been taken from an account. In order to put forward a successful case against the disputed will, you should collect the correct evidence that can explain your suspicions. To do this, you may have to conduct some background research as to where the will was signed, and if a legal expert helped them to write or manage the will. Evidence may also include witness statements where possible and copies of previous wills or written notes in contrary with the final will. If you believe fraud has been carried out when the deceased was in a vulnerable condition, you should also collect medical records and documents which prove that they did not have the mental capacity to manage the will, such as from a hospital or care home. When Should You Speak to a Legal Expert? When you have your evidence collected and believe that you have a strong case to make the fraudulent will invalid, you should speak to a legal expert before taking any other steps. Claims of fraud are extremely hard to prove, and carry higher standards of proof than regular claims, with the need for a host of experts such as hand-writing analyzers. They will be able to provide you with information concerning the strength of your case and whether you will be successful. They can also guide you as to the next steps to take and what extra evidence you may need to collect. The legal professionals at the-inheritance-experts.co.uk will help you to settle your dispute quickly, whether you would just like an initial meeting, or wish to use their services in order to settle the claim as successfully as possible. Disputing a will can be a stressful and confusing time for you, especially if you do not have the correct social and legal support. However, by collecting the right evidence and knowing when is the best time to speak to a legal expert, you will be able to dispute your claim with the greatest chance of success.